Found in deciduous woodland and parkland. 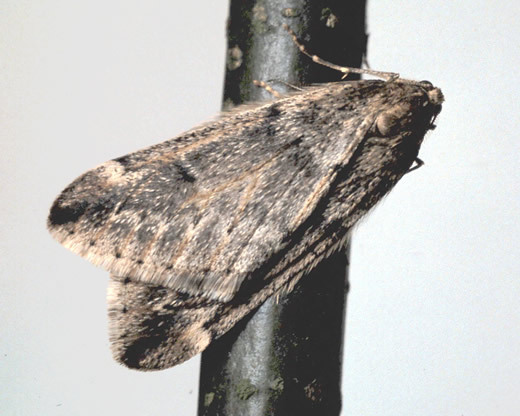 Unlike most geometrids, the male March Moth overlaps its wings at rest. 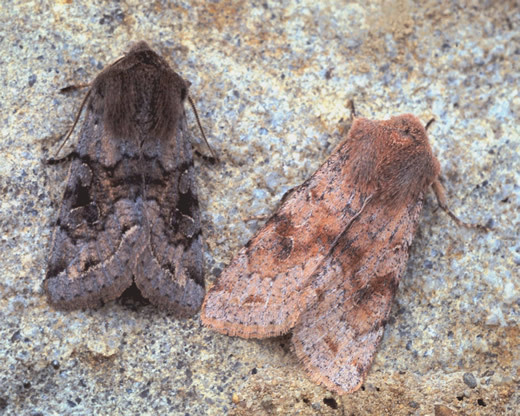 It is yet another of the early spring moths with a flightless female, though it is not closely related to the other species. Woodland, scrub and moorland; October through to April. This long-lived moth emerges in late autumn and is active throughout the winter on mild nights. 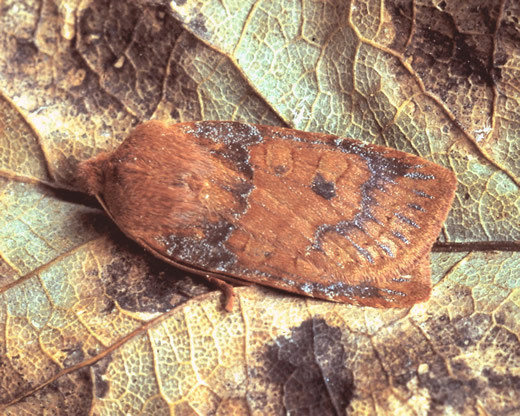 Often it is the only moth at sugar in March. 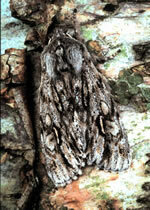 Colour and markings are variable, but the dumpy, rather flattened shape is distinctive. Birch woodland, especially young trees in open moorland; March and April. Named for the colour of its antennae, Yellow Horned is a characteristic early spring moth of the Scottish Highlands, sometimes found on fence posts and birch trunks. Our race is larger and more strongly marked than the English form. Moorland and other open habitats, especially on the coast. 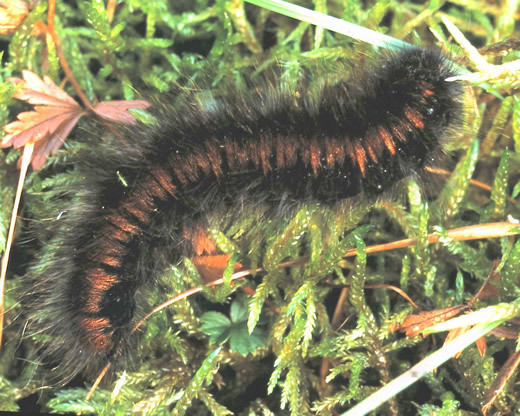 These large, hairy caterpillars emerge from hibernation in early spring. Having reached full growth the previous autumn, they do not feed, but sunbathe at every opportunity. This basking may be necessary for their successful development, making them notoriously difficult to rear in captivity. Deciduous woodland, scrub, parks and gardens; March and April. 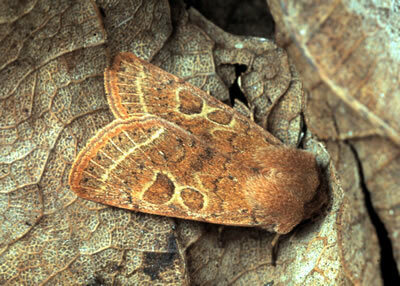 This very common member of the quaker moth group is also extremely variable in colour and markings. Luckily the size and shape remain constant, helping identification. It is easily found by checking sallow catkins by torchlight after dark. 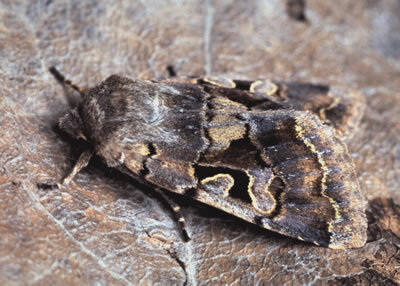 Named for the black letter-like marking on the forewing, this noctuid moth is common almost everywhere. Readily found with a torch on sallow catkins after dark in March and April. 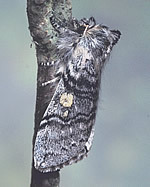 Feeding on nearly all deciduous trees, this moth is also numerous at sallow catkins in March and April. Colour varies, but the plain and simple wing markings are characteristic. A Highland speciality of ancient birch woodland, where it rests by day on the gnarled trunks in early spring. 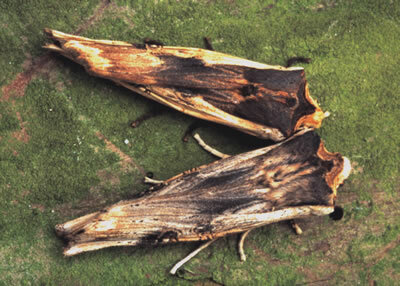 Both resemble slivers of old dead wood, but the much scarcer Sword-grass can be distinguished by its pale legs. 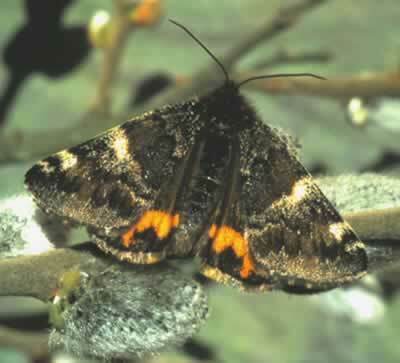 The adults emerge in autumn, then hibernate until early spring. They are most often found at sugar. The adult flies high around birches on sunny days in March and April. It is easily seen but not so easily netted.